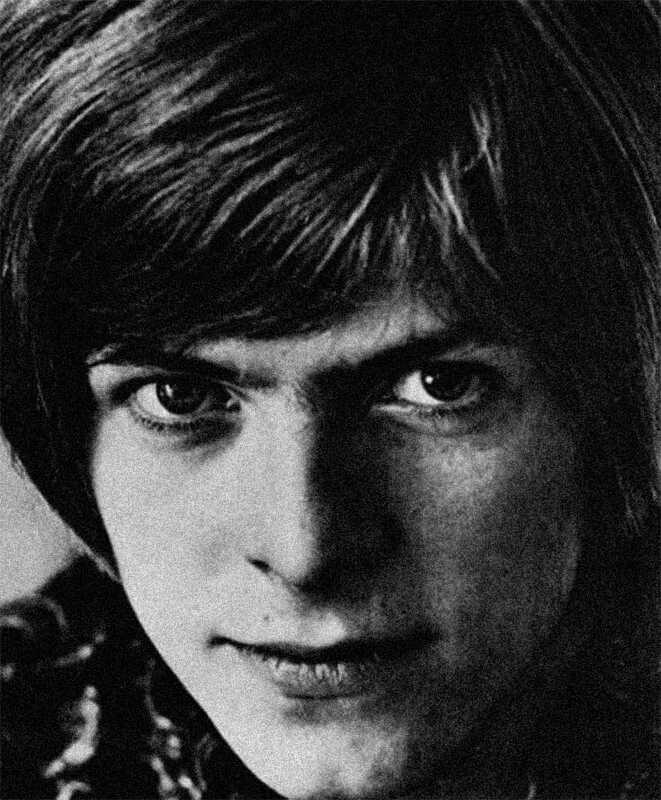 Bowie, in a trade ad from 1967. The year was 1967. Chögyam Trungpa Rinpoche, who had fled Tibet and would eventually move to North America, was at Samye Ling Monastery in Scotland. His star, and that of Buddhism, was already rising on that side of the Atlantic, attracting a new generation of seekers. Some of them were stars themselves. 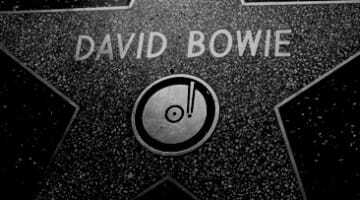 One — so the story goes — was David Bowie, who had started coming around Samye Ling at the inspiration of his friend and collaborator, Tony Visconti (who even worked on Bowie’s brilliant swansong, the just-released Blackstar), as well as that of Bowie’s girlfriend at the time, Hermione Farthingale. “I was within a month of having my head shaved, taking my vows, and becoming a monk,” Bowie has said about that period of his life. But, he was torn and so sought the counsel of a Buddhist teacher, usually assumed to be Trungpa — though that’s now been refuted. The teacher replied to the famous young seeker that he should remain a musician, for that was how he could be of the most benefit. You, of course, know the rest. That the singer and Lama Chime Rinpoche knew and cared for each other is in no doubt. Young David Jones was 13 when he developed an interest in Buddhism after reading “The Rampa Story” by T. Lobsang Rampa. Over the next four years, his interest in Buddhism and Tibet grew until he was visiting the Tibet House in London up to four times a week. 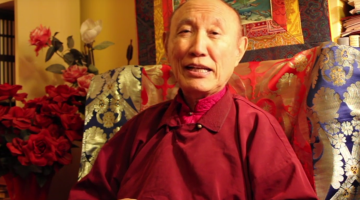 The man in the saffron robes, Chime Yong Dong Rinpoche, became Jones’ guru for several months. 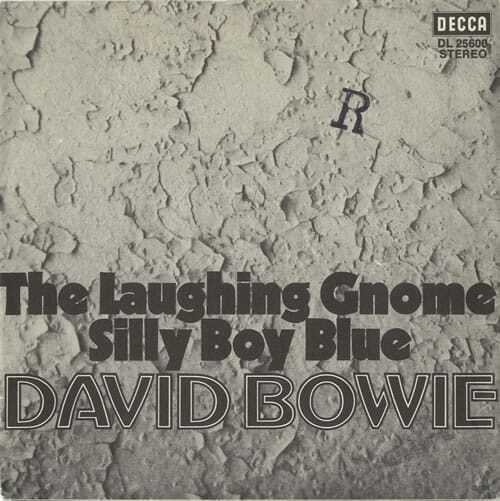 A German Bowie single containing “Silly Boy Blue,” the singer’s tribute to Chime Tulku Rinpoche. Watch the intro and song here. Lama Chime Rinpoche, I’m happy to say, is alive and active at Marpa House in the United Kingdom. One recent video is his “Message to Young People,” with a specific focus on the value of meditation for young people, here. “You don’t have to become a Buddhist,” he says, “you just have to be what you are” — and deal with your energies “in a skillful way.” In the video’s second half, Rinpoche hands off the rest of the video to members of his community to speak to their own reasons for practice. Watch it here. Update: Lama Chime Rinpoche has now issued a video of remembrance and prayers for David Bowie. See it here. 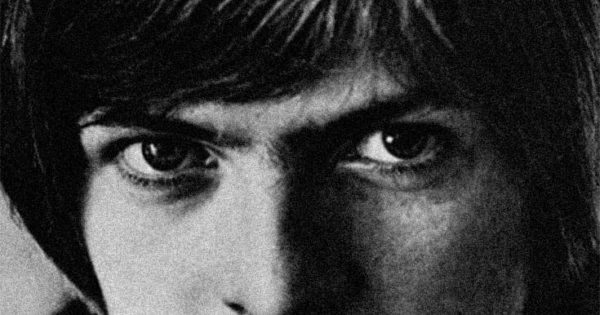 Also: Musician Thurston Moore — of Sonic Youth, Chelsea Light Moving, and countless solo and collaborative recordings — has written an appreciation of Bowie for Pitchfork in which he recalls a special moment of kindness from the singer that “brings to mind Bowie’s early connection with Buddhist philosophy, practice and meditation, studying with Chogyam Trungpa Rinpoche and Lama Chime Rinpoche. Legend has it that David had considered a life as a monk but his teachers saw his light was needed beyond the monastery and advised him to follow it. Chogyam Trungpa Rinpoche, in later years, became the Buddhist teacher to Allen Ginsberg, Anne Waldman and so many others who employ kindness and contemplative thought as activism towards peace.” Read the whole piece here. 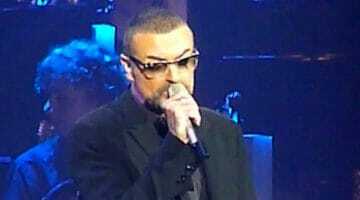 January 30 update: It turns out that while Bowie did not wish for there to be a funeral upon his passing, he did ask for, and get, a Buddhist death ceremony.